Tilt and turn windows and doors have long been the leading and premier window and door choice in Europe. 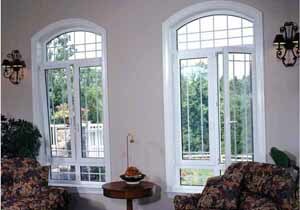 Bravo windows and doors offers the highest quality tilt and turn windows and doors available. German technology manufactured in Canada gives you the satisfaction of top European design and at an affordable price. Advanced Tilt & Turn Technology gives one handle operation allowing the user to tilt-in the window or door for ventilation or fully open the window or door for safe and easy cleaning. Superior u-PVC Material is maintenance free, high impact and UV resistant, unplasticized PVC. The material is impervious to insects and contains no fillers that can become yellow or brittle and does not support growth of mold or mildew.Thus providing easy and hassle-free cleaning and maintenance of your windows and doors. Exceptional Security Bravo’s windows have built with multi-point locking hardware to firmly close doors or windows to an invisible steel frame. Tough high impact u-PVC firmly resists intruder attempts, even when the window or door is in the tilted position. Environmentally Friendly & Energy Efficient due to their advanced design technology. They offer superior insulation and venting capabiltities, while preserving climate control in any environment. Wide Choice of Colours and Finishes - Bravo offers not just the standard white or beige extrusion options but a wide array of decorative colours and elegant wood finishes.